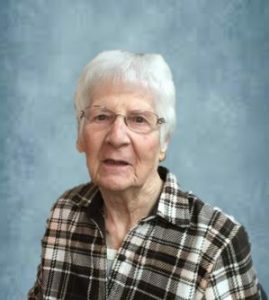 Marge Kroeger, 90, of Schuyler, died Wednesday, April 3, 2019, at Columbus Care and Rehabilitation. 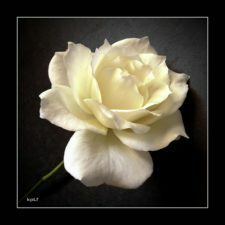 Friday, April 12, 2019 10:30 a.m.
Marjorie was born January 7, 1929 in Lesterville, South Dakota to Frank and Anna (Chodora) Hejl. She moved with her family to Rogers as a child and attended school in Rogers. She then graduated from Schuyler High School. On September 22, 1947 Marge was united in marriage to Kenneth Kroeger in Schuyler, and four children were born to this union. She was a member of Trinity Lutheran Church in Schuyler where she was a member of the ladies aide and quilting club. Marge is survived by her son Kevin (Lisa) Kroeger of Blair, daughters Lana Hoover (special friend Scott Ward) of Columbus, Gail (Rick) Anderson of Fremont, Kim Schaefer of Columbus. 14 grandchildren, 23 great grandchildren and one great great granddaughter. Many nieces and nephews. She was preceded in death by her parents, husband Kenny, 4 brothers, 2 sisters, grandchildren Mikayla Anderson, Ben Hoover and Cammi Harter.